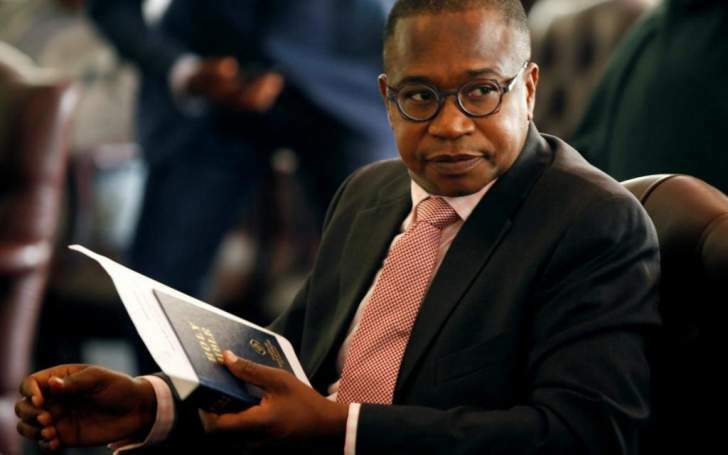 FINANCE minister Mthuli Ncube will next month unveil a transitional economic stabilisation programme that will address fiscal and monetary reforms as well as an arrears clearance programme. Zimbabwe is saddled with fiscal pressures as the public sector spending is chewing above 90% of the country's revenue, leaving little for social and infrastructure development. Ncube yesterday met outgoing British Ambassador to Zimbabwe, Catriona Laing, and outlined how the United Kingdom would assist in arrears clearance. "I also did share with Ambassador Laing that we are working on a transitional economic stabilisation programme that is likely to be operationalised in line with vision 2030," Ncube said. "In terms of that vision, we have to undertake certain reforms in terms of fiscal consolidation, (and) arrears clearance. The UK has been a big partner in terms of arrears clearance, supporting us all the way on how to think about it and convening important international meetings here and there, supporting the arrears clearance." Zimbabwe is burdened by a debt overhang of over $18 billion accrued from both public and private sector borrowing, resulting in the country sinking deeper into a fiscal quagmire since 2013. Domestic debt has risen to $10 billion, while external debt stands at $8,5 billion. Government has been issuing quasi-currency instruments in the form of Treasury Bills currently standing at about $2 billion to fund its domestic requirements. "The direction on currency reforms is linked with the direction of fiscal reforms," Ncube said. "What we are considering is a package. In a sense, the fiscal side is an albatross to the monetary side. So if we are going to have monetary reforms, we are going to have fiscal reforms. "That is reducing the budget deficit (and) getting it down to a single digit as quickly as we can and adopt a budgeting approach that always take a medium term approach. We must be clear on where we want to go in three years' time." Ncube said he would have to further discuss the issue of arrears at the annual International Monetary Fund (IMF) and World Bank spring meetings in Bali Nusa Dua, Indonesia, taking place between October 12 and 14. "We don't have timelines yet, but it's about options, then steps once the options have been chosen. So there are various options, so we are looking at those options and see what's workable. But we are on top of this," he said. Laing said the spring meetings would be a good opportunity to set out a clear vision on how the country seeks to clear its arrears. "The IMF and World Bank meetings in Bali will be a very good opportunity to set out the vision on a fiscal and monetary side with the creditors and to see what the timelines will be on clearing the arrears," she said. "We recognise that you need support and we are here to provide that support to try and encourage the process on being back to the IMF programme perhaps on an interim staff-monitored programme as soon as possible. "So we have to start a serious dialogue with the IMF which will unlock what you really need from the international community, that is lines of credit."